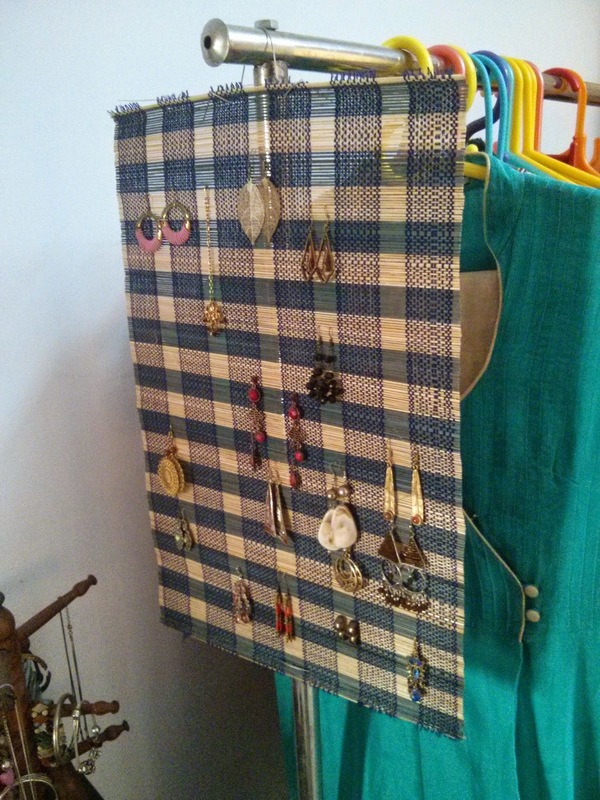 Jugaad Freak: Check out my free earring holder !! 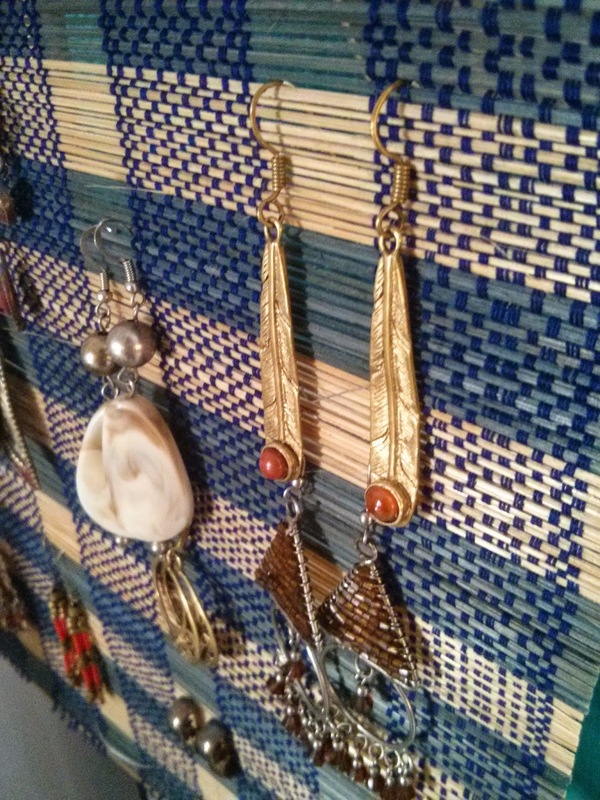 Besides, India is full of amazing earrings, a million unique designs, I'm not a jewelry person much but still, it was quite a downer to not indulge in some variety while at a place like this !! Here's what I did: this is a leftover of a cut table mat which the store gave away.. for FREE !! (sorry the thought of that makes me so happy !! hahaha :D) I just hung it with a metallic wire on my clothes hanger stand next to my mirror. 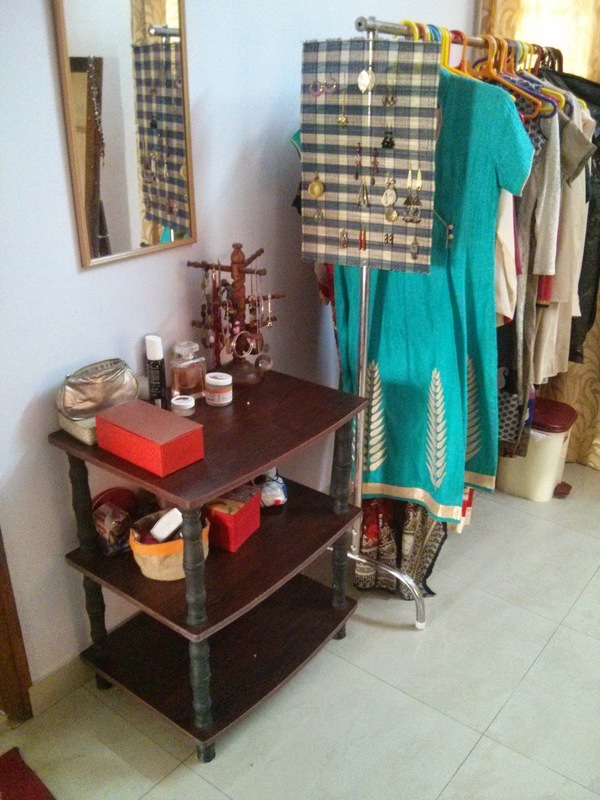 It's super convenient and I love my little customized dressing corner.. who needs an expensive dressing table ?!! Just make sure the mat you choose has little holes in it like the one in the picture, so you don't have to actually pierce it every night while putting your jewelry away.